Virginia is a state that has a lot to offer. It’s a very diverse state with Beaches in the East and the Smoky Mountains in the West. Some of the biggest cities are Richmond, Virginia Beach and then you have Washington DC in the north. Those are some major cities which means you get some major travel and populations in the state. 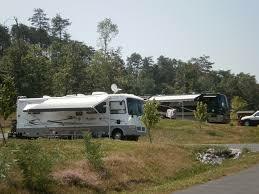 The Best way to experience Virginia is by renting an RV or camper trailer. You have major airports which means travel to and from is really easy. You also have some major college sports teams and some professional sports teams nearby so tailgaiting is plentiful and in high demand. If you don’t own an RV or have a friend that owns one then renting one is your best solution because having an RV for some reason makes tailgating a lot more fun. The beaches in the East are really beautiful and during the summer the best way to explore the East Coast is in an RV. 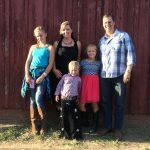 If you are not into tent camping but you love mountains and the beautiful scenery that come with it then exploring the Smoky Mountains in an RV or camper trailer is the perfect way to do so. This one is really starting to take off. It’s basically AirBnb but for RVs and camper trailers. So how it works is you have RV owners that want to rent their RV and then you have people that want to rent RVs. Since you can’t really trust Craigslist for stuff like this, you have two companies that have taken over in this space. They are RVShare and Outdoorsy. What they do is they have a website where the renter puts in the location they want to rent and then the websites pulls up available RVs with pricing in or near the location the person wants to rent. The website handles the money, paperwork and insurance and the rest is up to the two parties. I have used RVShare and had a really good experience. Read my review of it here. I have heard good things about Outdoorsy and would not hesitate to use them in the future. Now these companies are not perfect and at the end of the day you are dealing with the owners of the RV so don’t wait till the last minute to book your RV because the rental could easily fall through the cracks or you end up renting an RV from 1984 which will probably break down. Communication with the companies has been kind of bad but it is greatly improving. Another option you have is renting from Cruise America. They have been around for a while and have a pretty good reputation. I have used them in the past and had a really good experience. I used them before the peer to peer option was even available but I have no complaints. They tend to be a little expensive but they won’t break the bank. You have to be careful because they will charge you a lot if you go over the allotted miles and will charge you a lot for using extras like pots and pans and propane. As long as you plan ahead and stick to the plan you will be just fine. You will also be a traveling billboard for them because they have their name and phone number plastered all over the RVs. If you are okay with that then this is a good option. Another good option is to rent from a local dealership. Not every area has this option because not every RV dealership rents RVs but a lot do because it is a good revenue maker for them especially if they are close to heavy tourist locations like the Smoky Mountains or any beach. Dealerships tend to cost a little more than the other options but you are dealing with real people at the dealerships and they usually maintain them well because the dealerships need to squeeze as much revenue out of them as they can since they have overhead to cover. Look online to see if the dealership has good reviews and then give them a try if you wish. I have noticed that they do tend to rent out fairly quickly if its a holiday or a special event is going on so again with this option do not wait till the last minute. You have a number of good options for renting an RV with the peer to peer being my favorite. Which ever route you choose be safe and have fun.